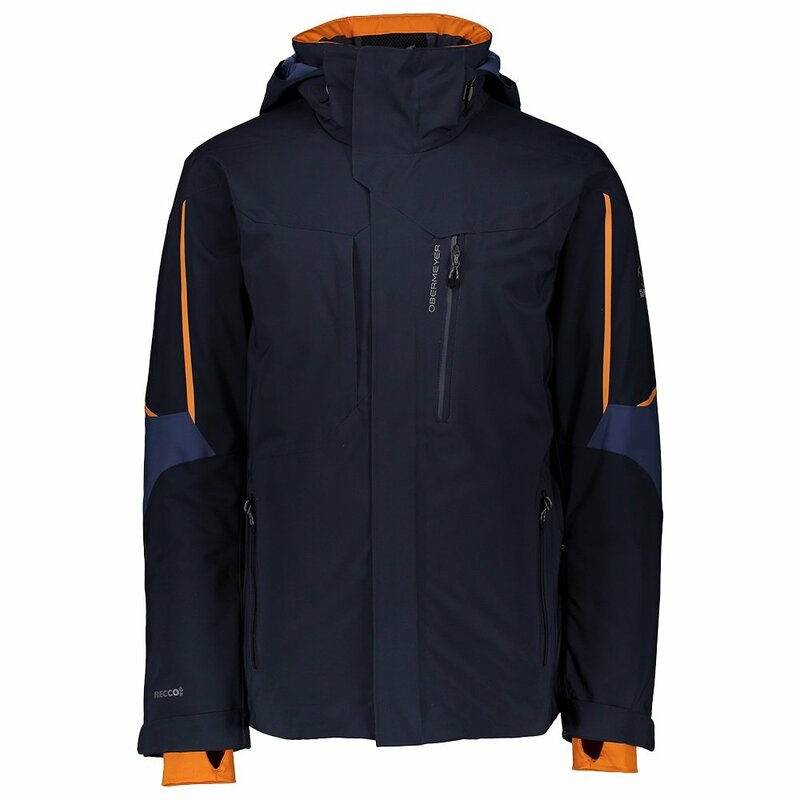 The Obermeyer Kenai Insulated Ski Jacket is what you get when you pair Obermeyer's sixty years of smart skiwear design with the latest in winter weather protection. The Full-Motion™ Fusion Fit makes use of two and four-way stretch materials in the shell and lining to give you complete freedom of movement, and the PrimaLoft® Black ECO insulation adds warmth you can count on without bulking up. Built into the stretch plain-weave outer layer is HydroBlock® waterproofing, providing enough protection for the soggiest snow days and even a bit of light rain too. The Obermeyer Kenai Insulated Ski Jacket also has plenty of storage solutions for all your mountain gear including a media pocket with cable routing so you can easily listen to tunes on the slopes.